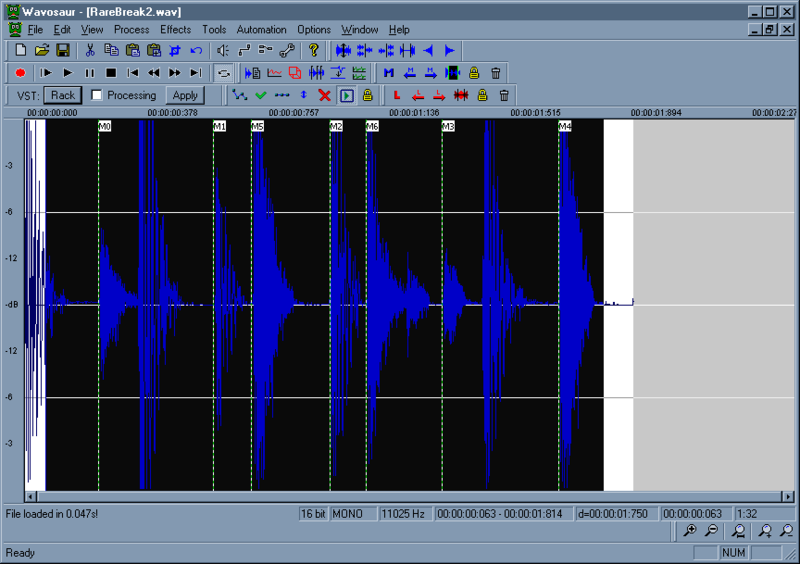 Markers are useful to set "regions" in your audio file. Quickly add a marker by clicking on the "m" key on your keyboard. To kill one marker at once, select it with the mouse, click the left mouse button and press the DELETE key without releasing the left mouse button. You can also rignt click on the marker and a popup-menu with delete will appear. you can drag the markers with the mouse (left click and drag).